Should You Use SOCKS5 Proxies? Home > Blog > Should You Use SOCKS5 Proxies? Also known as Socket Secure, SOCKS is the abbreviation of said Internet protocol. It refers to the exchange of packets on a network that are being received and sent between the client and the server. SOCKS also include a proxy server as a medium for increased security. With that in mind, SOCKS5 proxies are the enhanced versions of SOCKS and they require additional authentication in order to access proxy servers in different locations. In other words, they add on to the existing layers of security that are already in place. TCP protocols are designed to establish a type of physical connection between the server and client. These protocols organize data in ways that allow all of them reach their intended destination. The process can be complicated and takes time, but eventually all data sent should arrive at their destinations safely. UDP protocols, on the other hand, do not focus on the safe arrival of the data. These protocols typically focus on the efficiency and speed of the data transmission. While these are faster protocols, they are less reliable than TCP. That’s where SOCKS5 proxies come in. They combine both UDP and TCP protocols, forming the perfect data transmission protocol that is both reliable and fast. Traditional IP proxies focus only on HTTP protocol and that’s why they are very specific. These proxies allow you to visit web pages and surf the Internet anonymously, but you still remain exposed completely when you handle any other kind of data transmission over the web. What you need today is an all-around proxy server, like SOCKS5. You will be able to stay protected throughout your sessions and hold a different IP address regardless of the type of data transmission that running on your connection. In certain countries, the Internet can feature tons of blocks that prevent a user from accessing certain websites. 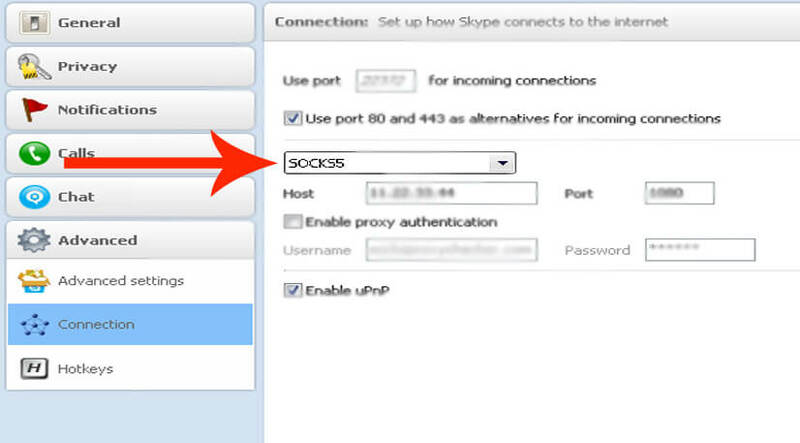 Because SOCKS5 proxies are remote servers, you will get an IP that grants you full access to your target location. In addition, your original IP remains hidden from potential firewalls and blocks; only your new IP will be shown if requested. You will be able to surf and visit whichever site you want. Compared to traditional proxy services, a SOCKS5 proxy performs better in terms of upload and download speeds. This is highly beneficial when you need to transmit data via torrents and other P2P services. This is possible because the latter fully implements the UDP protocol, which allows users to connect to the peers in a swarm. That’s not all. You almost forgot about the security that SOCKS5 provides in this area. If there is an interruption of SOCKS5 proxy server, and you are in the middle of running a P2P process, the P2P will also stop. This prevents your real IP address from being visible to others.